December is here! I hope you can come join me for the Ravelry loom-a-long. 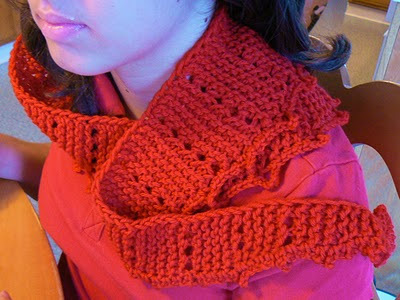 We are looming, the Poppy Neckerchief (now you know why I have been testing it in so many yarns and gauges.) This is a fun and fast knit, that makes a wonderful gift. 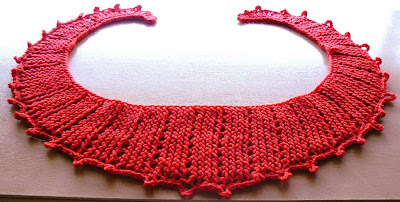 You can make it on a 1/2 inch gauge or 3/4 inch (like a blue or red Knifty Knitter) using about 1 skein of yarn (125 yards) in DK, Worsted or Chunky weight, wool or acrylic. The pattern is free at Raverly. If you need a plain text version, or can't get the Ravelry pdf, please let me know and I will send you the pattern. Hope you will come and join the Loom-a-long! Wont sign up until next week till I know for sure I am definitely going to have time to make one. Hope that is ok.